Fourth Thursday of the Month 5:30 – 7:30 p.m. If you have always wanted to try your hand at art, but didn’t think you had the ability…..this is for YOU!!! Come and enjoy appetizers and sweets, along with your favorite beverages. Chat with your friends as you paint your very own masterpiece, all included with the cost of entry. No previous experience necessary. All levels of ability welcome. All art supplies provided….and a personal masterpiece to take home! Watch the website for the next fun night out with friends! Mark your calendars for Arts & Carafes throughout the year (4th Thursday of the month) and then watch the website for the projects that are planned for each month. 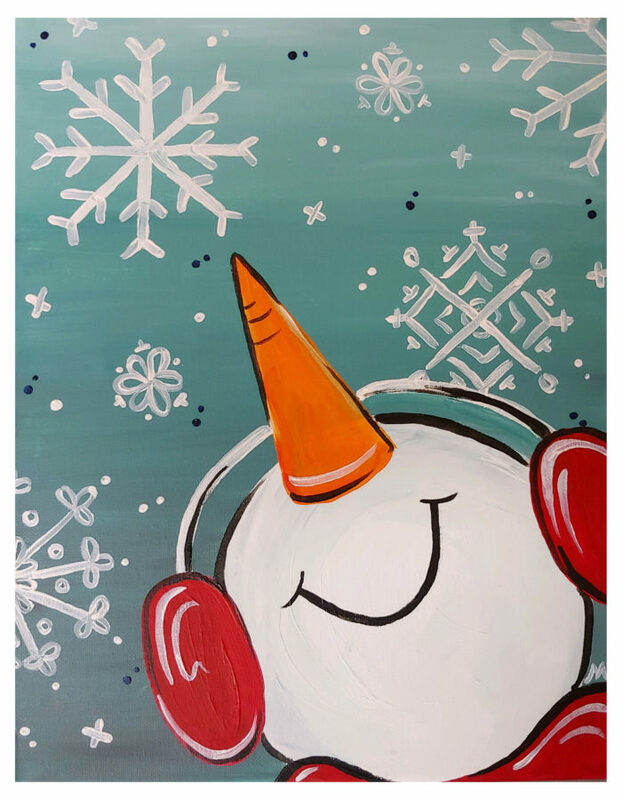 Come paint this happy snowman with us and instructor Molly Ring on Thursday, December 13th. The cost is $30/person for Members; $35/person for Non-Members; and if you bring a group of 4 or more $25/person. Cost includes all of your supplies, snacks, and artwork to take home. Please make your reservation 24 hours in advance. Call the museum at 233-7003 Ext. 301 to reserve your spot or sign up online below.